Ms. Hemmerdinger-Goodman oversees ATCO’s Human Resources Department, the Residential Management and Operations Divisions, Essential Design + Build and both the Commercial and Residential Brokerage divisions, respectively ATCO Brokerage Services and Essential New York. She is also responsible for spearheading many of the company’s large projects and facilities management. In the role of asset manager for ATCO’s legacy portfolio, Kate tackles the negotiation of leases, advises and oversees design implementation, and all related aspects in the startup and renovation stages of managed properties. She also plays an integral role in assessing and developing new lines of business to better serve ATCO’s clients. Previously, she worked for a major public relations firm and in the documentary department of CBS News, Inc. Kate maintains a leadership role in a number of important community and charitable organizations. 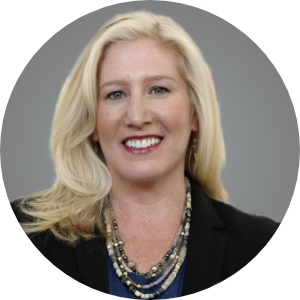 Kate is member of C200, and Women Presidents’ Organization, Platinum Chapter, REBNY and WX. She currently sits on the board of KiDS of NYU Langone Medical Center. Some of her other activities have included serving as a Board Member for Children for Children, as a committee member of the Stephen D. Hassenfeld Children’s Center for Cancer and Blood Disorders and as a Co-Chair of Brown University’s Manhattan Alumnae Interview Process – to name but a few. Ms. Hemmerdinger-Goodman is a Licensed Real Estate Broker and a graduate of Brown University.